We will digitize the negatives you send to us. If there are any negatives in your order that are damaged (due to fading, mold, or other causes), we will scan them and give you the option of just keeping the scans as they are, deleting those scans from your order, or having additional work done to improve the images (at an additional photo restoration cost). Please note that we also scan Disc Film (many scanning services won't!) Our Price for scanning negatives starts at $0.30/frame, depending on the type of service you select (see below). You can even try us outfree of charge! We use a proprietary process, along with custom-built equipment, to digitize Disc Film negatives (also known as disk film negatives). Using this special process, we are able to convert a disc film image to a digital image that is over 4000 pixels wide - that is the equivalent of a scanner working at 10,000 dpi. That capability, combined with our low cost (just $10.00/disc, versus up to $39/disc with other services) makes us the logical place to send your disc films for conversion. 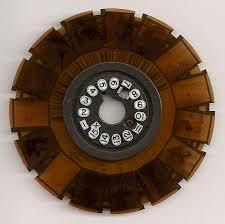 When we scan your disc film negatives, we do not damage or change the disc in any way. Other labs will modify the disc to fit their equipment - for example, by removing the hub. We will process your disc and return it to you in its original condition. 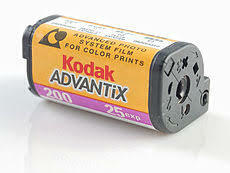 We digitize APS film too. Our charges for this film are the same as for 35mm film negatives (other services will charge you over $0.90/frame for this film, if they will take it at all!). In addition to providing your image files on a flash drive or DVD, for a small additional charge ($0.04/image + disc cost) we can assemble your pictures into a HDTV Video Slide Show. We can then put that slide show on a DVD that you can play in your DVD player so you can enjoy your pictures on your TV set, as well as your computer. If you choose this option, the data files (JPEG image files) require a separate disc - or you can have them put on a flash drive. The first is our "Digital Negative" Service. This service provides you with digital copies of your negatives, without any further processing; the images you receive are still negatives. This category is our lowest cost imaging service - you can receive digital negatives for $0.30/image. This service is ideally suited for customers who simply want to preserve and protect their collection of negatives at the lowest possible cost for the time being. It is also ideal for those who want to do their own post-processing and image improvement. We provide a download link to a free software package that will enable you to do all of the same post-processing of your images that we do with our higher-priced services. The best part is that you also have the option at any time to have us "develop" the negative images (reverse them to normal color) within six months (possibly longer) after your order is processed at a cost of just $0.05/image. We will hold your images on our system for at least six months. If we no longer have your images in our system, you can simply send us the original media on which your files were sent to you. Our second category of service is our "Digital Positive" service. This service takes the negative images and processes them to reverse the color to a normal positive image, and to perform an initial color-balancing. No further processing is done (no dust and scratch removal, no trimming, no exposure adjustments), and images remain in the landscape orientation (portrait-style images are not rotated to the vertical position). This service is available for $0.35/image for 35mm and other similar formats. With the "Digital Positive" Service, all rectangular images will be in the landscape orientation (with the long axis horizontal). You can easily rotate the images that were taken with the camera in the vertical orientation using the Windows Photo Viewer. Or, if you prefer, we can do that for you for a small additional charge of $0.03/image, based on the total number of images in your job (because we have to review every image). The final level of service is our "Premier Service". This is our "full service" category. All images will be corrected for dust and scratches, color corrected for film-base color shifts, and put in the proper orientation in the JPEG image file. We will also "tweak" the images, where possible, to improve exposure levels, back-lighting, and color balance. When we make adjustments to a photo, we provide you with the initial version of the photo as well as the "tweaked" version, so that you have a choice of versions. This service is available at a cost of $0.53/image for 35mm and similar formats, and at a higher cost for larger format negatives (seePricing). If you have had negatives processed using one of our other two services (Digital Negatives or Positives) you can always come back and have your images post-processed up to the Premier Service level. If you have us process the entire batch of images that we originally digitized, the cost per image is the difference between the two services. If you want us to process selected images, you can send us a list of the image names you wish to upgrade. For that service, the cost is $0.53/image. The obvious question at this point is: "Why is it more expensive to have selected images edited after paying for the 'Digital Negative or Positive' scans?" The answer is that the pricing of our "Premier Service" is based on the fact that in a batch of images, some will require no editing at all, some will require just a few touch-ups, and some will require more detailed attention, so the amount we charge represents an average cost. When selected images are sent in after scanning for further processing, we know that all of the images will require more work, and more time, so we have to charge more for processing those images. If you prefer to have your image files in RAW or TIFF formats rather than JPEG, these are both available at a small additional charge (seePrice List). For all of these services, if there are any negatives in your order that are damaged, we will scan them and give you the option of keeping them, deleting those scans from your order (at no charge), or having additional work done to fix the images (at an additionalphoto restorationcharge). Your processed files will be stored on the storage medium of your choice: CD-ROM, DVD, BluRay, Thumb Drive (Flash Drive), M-Disc, or, for large orders, an external hard drive. You can indicate your choice of media when you fill out the Order Form/Packing List that you will receive from us when we are ready to receive your order. You can also elect to receive multiple copies of your files, if you wish. Actually, we don't scan your negatives. Instead, we start by taking the film strips and putting them in the correct sequence according to the frame numbers on the film. Then we take each negative, clean it with a special anti-static, lint-free photographic cleaning cloth to remove most of the dust and debris, and place it on an LED light-box and actually photograph it full-frame with a macro-photography setup. This avoids theartifactsthat can be introduced by a scanner, and provides a higher resolution than almost any scanner. Essentially, it is like going back in time and re-shooting your negatives with a modern digital camera. If you have selected our Premier Service, the images are then post-processed individually to rotate the vertically oriented images, and remove any remaining dust, fibers, and scratches fibers that show up in the image. In the case of older negatives where the color has faded, we are sometimes able to slightly improve the color saturation and intensity (but we make no guarantees). We also try, where possible, to improve exposure levels for images that are either under- or over-exposed. The changes, while not typically dramatic, are usually a noticeable improvement. In addition to JPEG files, we can also provide TIFF and RAW image file formats. Because these files are much larger than JPEG (between 4-6x) the processing time for image post-processing is much longer. As a result, we charge an additional $0.05 - $0.10/image for those file formats, depending on the Service Category (see below, orPrice List). As a way of introducing you to our Service, we invite you to try our Negative Scanning Service for FREE. We will scan up to eight negatives absolutely free of charge. The resulting jpeg images will be sent to you via Dropbox (you will receive images representing all three categories of Service), and your negatives will be sent back to you in a return envelope that you will provide to us. To get your free scans, just fill out the Free Scan Request Form. We will reply with an email providing you with instructions on how to send us your negatives, along with a mailing label that you will need to use for your envelope. Please, do not send us any materials without receiving this instructive email. Of course, if you do not have any negatives you would like to submit for free scans, you could choose to send us up to sixslides,or a couple ofphotographs,which have quantity limits (for free scans) that depend on the size of the photographs. Large orders will be sectioned into file sub-directories of about 50-100 images, and all orders will include one or more Index images that contains a thumbnail image of each picture, together with its file name. That way you can quickly search for a particular image, or easily review all of the images in the file. Of course, we will organize the images into specific categories of your choosing if you provide the necessary instructions. Please note that if you have both a negative and a photographic print of that negative, it is always best to send us the negative to be digitized. That insures that you will have all off the detail of the original picture in your digital file, without the losses that can occur when the negative image is processed to make a print. Many automatic photo processors apply automatic "corrections" to prints that are actually distortions of the original image. By scanning the negative, you will recover any detail that was lost due to a poor photo printing process. We offer the lowest cost high-resolution photographic negative scanning service on the Internet, with a 14-day turnaround. You can trust Digital Conversions LLC to handle all yournegative scanningneeds.